Evolution is a fundamental requirement for useful ontologies. Knowledge evolves continuously in all fields of knowledge due to the progress in research and applications. Because they are theories of knowledge in a precise domain, Ontologies need to evolve because the domain has changed, the viewpoint of the domain has changed or because problems in the original domain conceptualization have to be resolved or have been resolved (Noy & Klein, 2003). 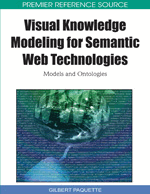 Moreover, in open and dynamic environments such as the Semantic Web, the ontologies need to evolve because domain knowledge evolves continually (Heflin & Hendler, 2000) or because ontology-oriented software-agents must respond to changes in users’ needs (Stojanovic, Maedche, Stojanovic, & Studer, 2003).